I don't know about you, but the year I got an Urban Decay Naked palette for Christmas was probably the best Christmas of my life (considering I never got that Barbie jeep I asked for repeatedly — thanks Mom and Dad). 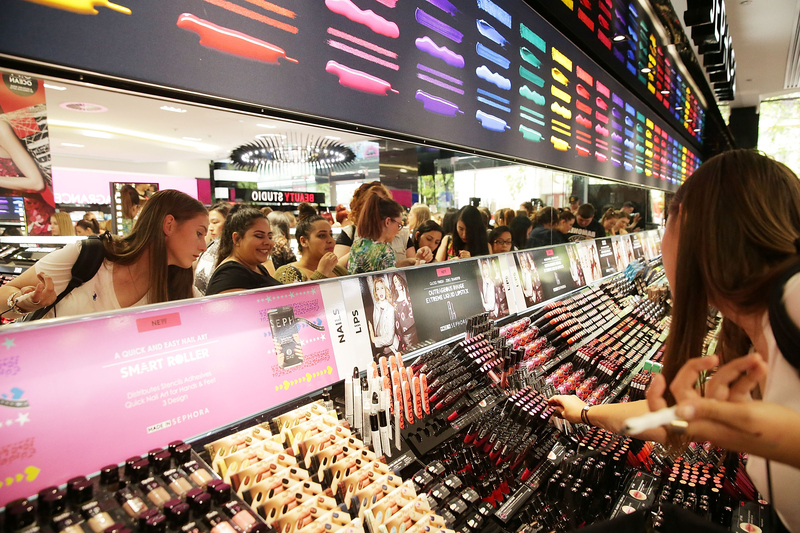 The holidays are a great time to stock up on makeup because so many places have sales, gift sets and samples to try. There are seriously so many last minute Christmas makeup deals. A lot of brands put together limited edition kits for the holidays, which are always a great deal in my opinion. Whether you've used the products before or have always been interested in trying something but not willing to shell out $24 for that full sized They're Real mascara (it's worth it though, I promise), these kits can be a great way to test out some new products and cult favorites without the full commitment. Other brands have simple, all encompassing sales, like 25 percent off your purchase and free shipping, which is always nice. If you're a member of any of the makeup stores' rewards programs, like Sephora's Beauty Insider Rewards or Ulta's Ultimate Rewards program, you can get even more bang for your buck, by using your points or looking for members only coupons. With that being said, here are 11 last minute Christmas makeup deals that you don't want to miss. Touted as a $116 value, this beautiful Benefit blush palette, which also comes with They're Real Mascara and They're Real Gel Liner, normally retails for $42, but is currently on sale for $30. Get 'em while they're hot. This lip gloss set is a perfect stocking stuffer and maybe you should just buy one for yourself while you're at it. It has eight different lip glosses and is worth $56, but you'll be getting each lip gloss for $2.50. Been wanting to try out colored eyeliner, but can't commit to spending a lot on different shades? This Smashbox set is on sale for $29 and you get 5 eyeliners. Winning. These Cynthia Rowley eyeliners are worth the $40 on their own (I cried tears of joy when I used the silver one), but throw in the lip stains, the illuminator and the cute makeup bag and you've got yourself a deal. This set boasts that it's a $322 value, so $49 is pretty solid. You get three removable palettes filled with different eyeshadows and blushes, and then mascara and a lip creme. This Benefit set comes with everything you need to get party ready in no time, including a primer, blush, eyeshadow, mascara, and more. Contour my face for only $15? Don't mind if I do. Urban Decay also has free shipping for orders over $50, so you might as well stock up on some of your other favorites. Just think about it this way — one They're Real mascara costs $24. In this kit, you get two mini mascaras, a mini gel liner and the They're Real remover, which is a god send. If you haven't tried it, now's your chance. If you're really into fake lashes, this $250 kit for $345 worth of lashes is a pretty good deal. Because these lashes are nice. MAC holiday kits are 25 percent off plus you get free shipping and gift wrap. So I might be ordering a present for myself to unwrap. Holla. Don't forget about the department stores! You can get this Clinique kit from Macy's for $29.50, plus, Macy's has plenty of free shipping and free gift offers, so the deal just gets sweeter.